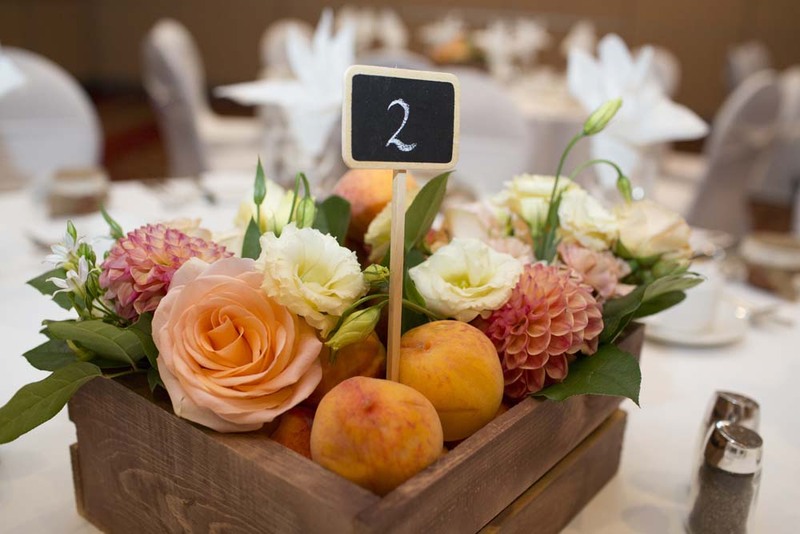 Fruit In Your Wedding Decor? 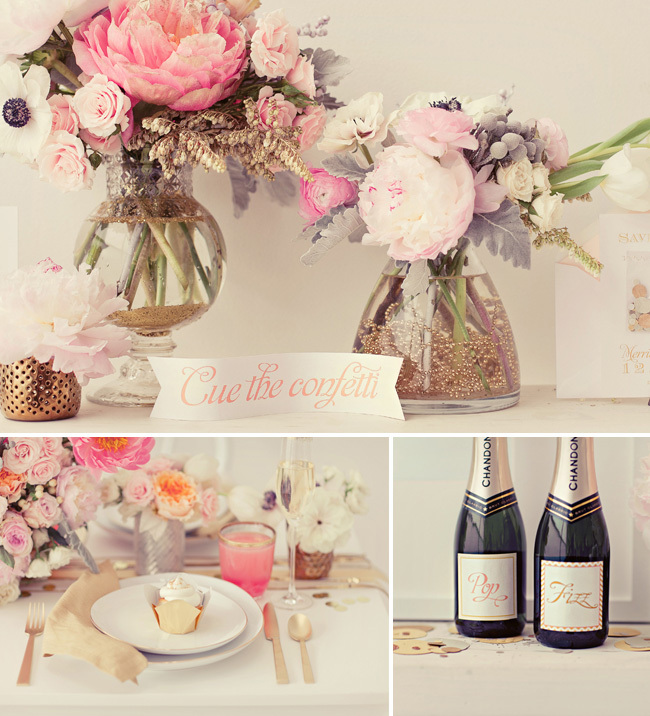 When it comes to wedding trends, they come and go then come and go again. Trends don’t have to be followed but it is difficult to ignore them in our era of Pinterest and social media. 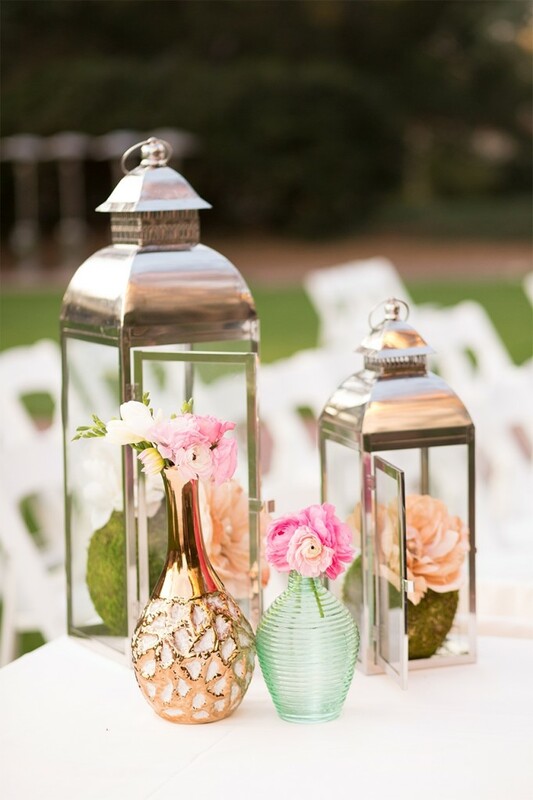 People want to keep up with the times as well as save as much money as they can on their weddings. 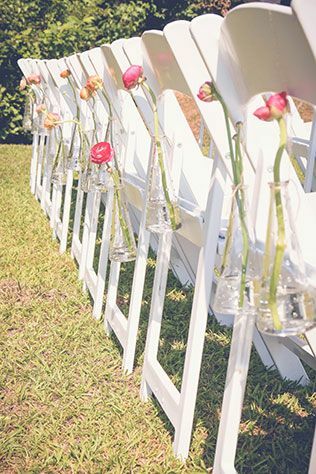 Besides food and alcohol, flowers can be one of the high priced ticket categories when planning your wedding. 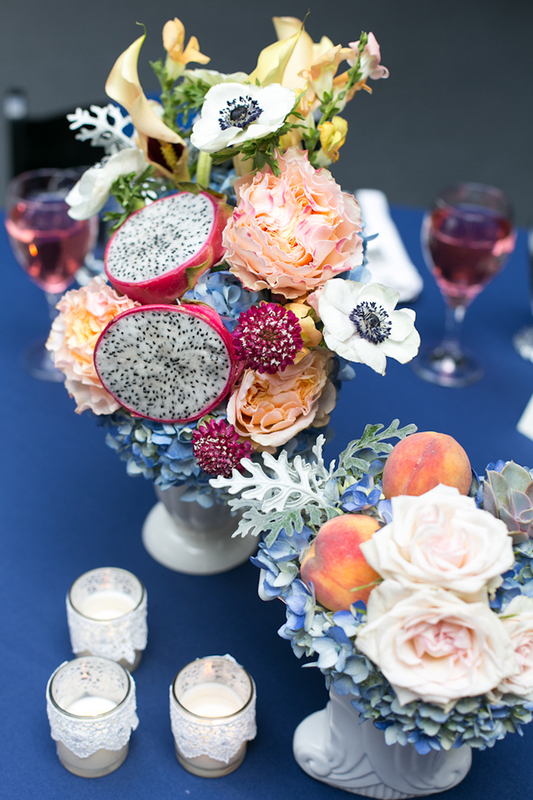 Luckily, fruit in weddings is making a huge comeback and I am not mad at that! 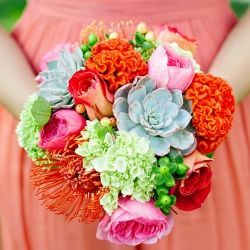 With it’s naturally vibrant colors and dimensions, it is an easy and inexpensive way to bring a pop of color to your wedding day. 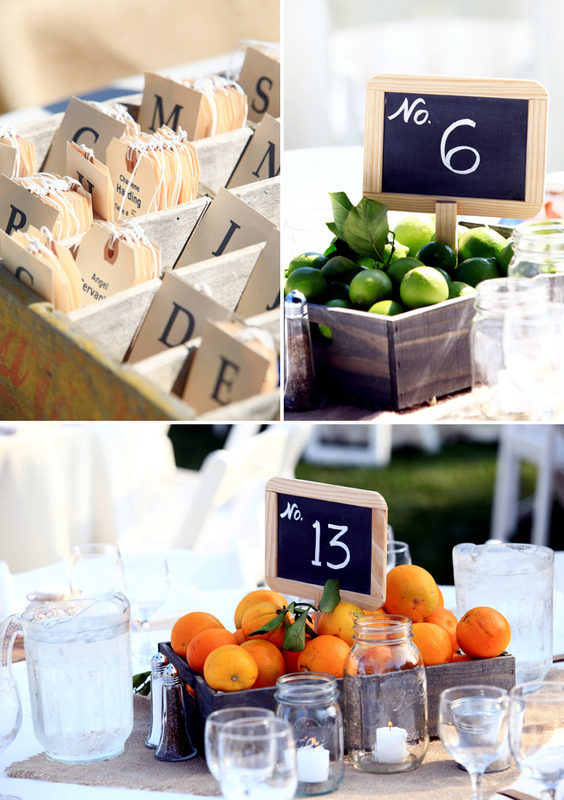 So, how do you incorporate fruit in your wedding without it being cheesy and predictable? 1. 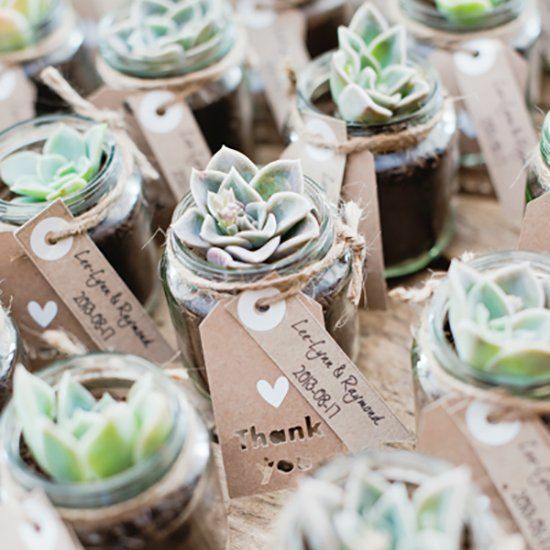 Use it whole, tucked inside centerpieces and bouquets. 2. Cut it in half to expose a different shade on the inside and usually a more bold color. Just make sure when you do this, that you apply the appropriate amount of citric acid to avoid drying out. 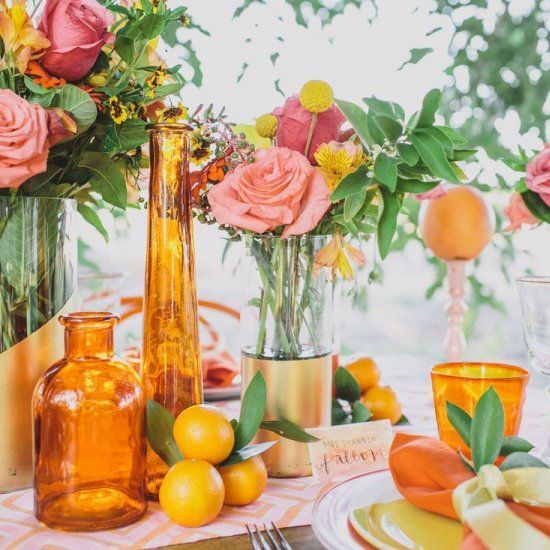 A good idea is to keep a spray bottle on hand with warm water and lemon juice and spray frequently to keep the fruit hydrated. 3. 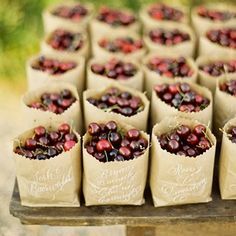 Using small fruit such as dark cherries, ripe blueberries and huckleberries is a great way to get that “hanging” look which can mimic some of the most expensive flowers. 4. 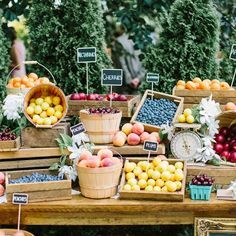 Use fruit in a BIG way: instead of a predictable finger food station, create a farmers market feel and include baskets of fruit for guests to enjoy. 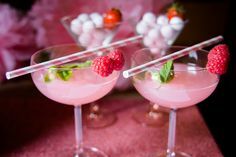 Also, creating a specialty cocktail with beautiful fruit is a show stopper! Photo Provided by Melanie Rebane Photography. Photo Provided by Andrew Mark Photography. 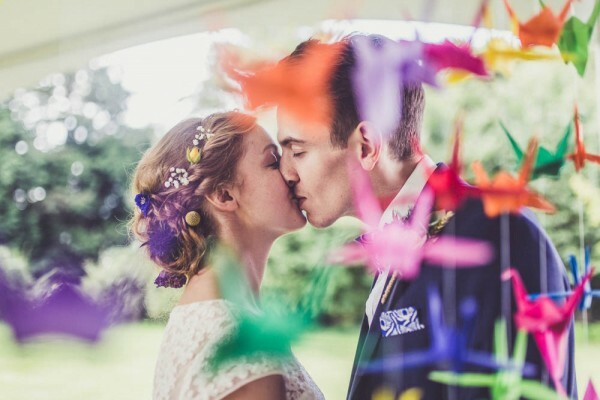 My Top 10 Picks Of The Wedding World!! 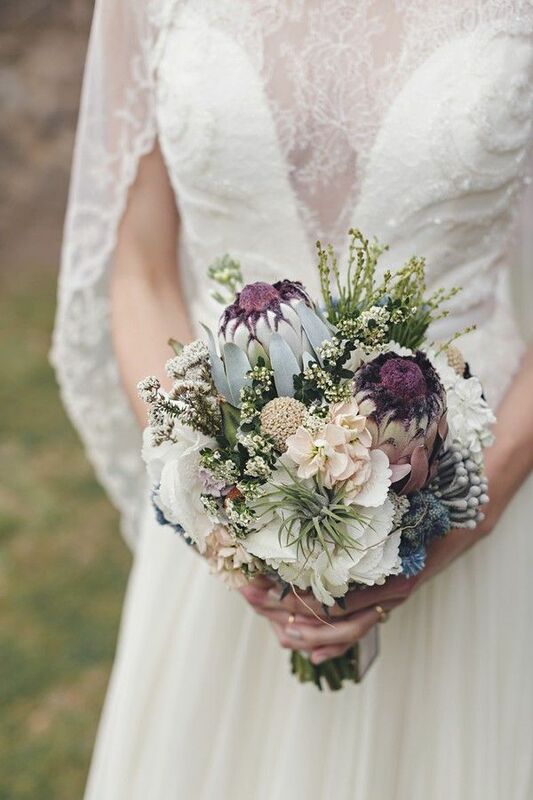 I have searched the most sought after pins and favorites on Pinterest and Wedding Gawker and have narrowed down my top ten favorite wedding picks of 2015! 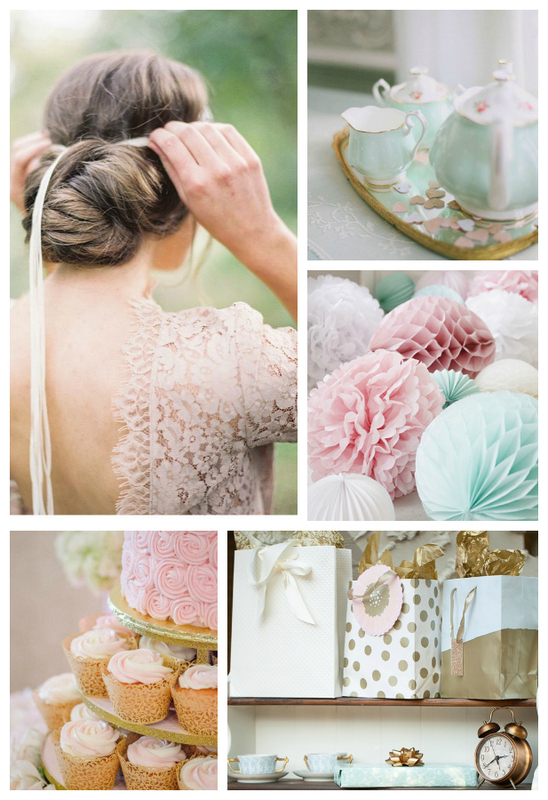 Everywhere from reception details, fashion and photography, these are my favorite wedding trends and styles for the upcoming wedding season! Who knows, maybe we will see a few of these at Glendalough Manor this year. 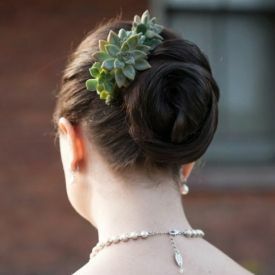 Succulents can be a fantastic addition to your wedding! 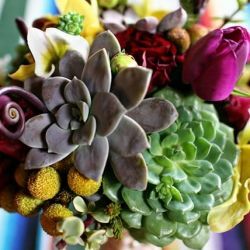 Although not a flower, succulents are plants that are a quite stunning and interesting way to enhance your wedding flowers. 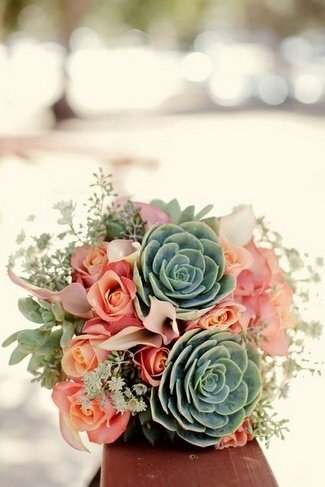 Growing in popularity, succulents are a perfect match for wedding because of their unique characteristics. Succulents are plants that can retain a high amount of water and hold that water for long periods of time (which I guess is the reason mine are still alive even though I have not watered them in a while)! They can also survive in mostly all climates. 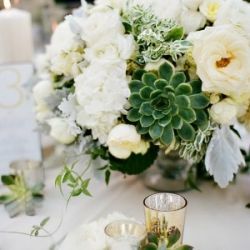 These are particularly great attributes to have for a wedding because they can with stand hot and cold climates without worrying about wilting or drying out which you do have to worry about with say a hydrangea or tulip. 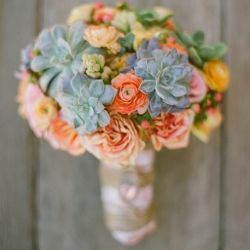 Perhaps the best part of using succulents in your wedding is that you can keep them and put in your house and with the proper watering and care, they can last until your 20th wedding anniversary…SERIOUSLY!! My in-laws have had a jade plant for 15 years and it has tripled in size since it started!! 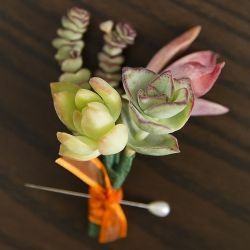 Unlike preserving a bouquet of flowers, it would keep growing like the love you and your new husband have for each other! 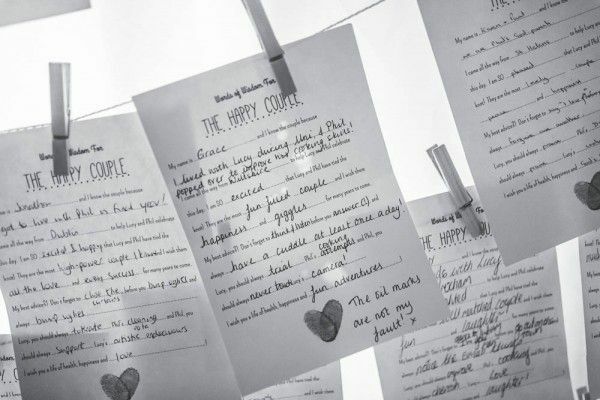 What a fantastic way to have a memory of your wedding day with you each day when you are home. 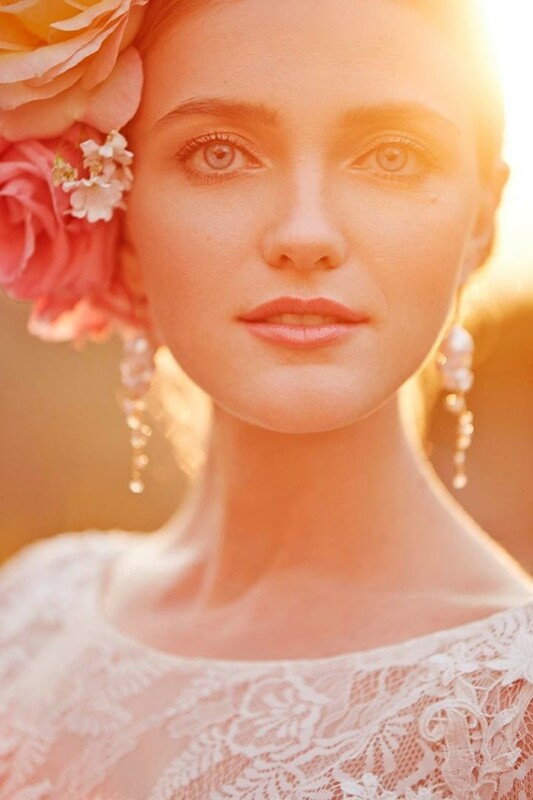 Stunning and perfect for an upcoming Spring wedding! 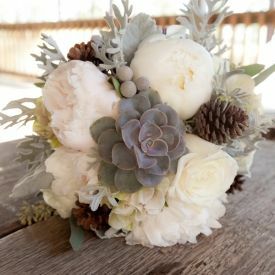 This would be a perfect winter bouquet! 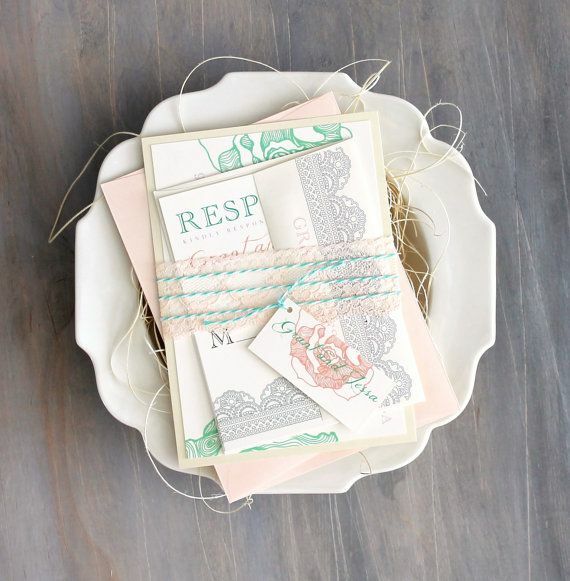 What an AWESOME favor idea since your guests can actually keep these and use them in their house or office! 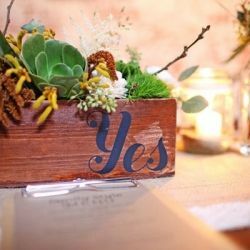 Beautiful way to incorporate succulents into the reception centerpieces! 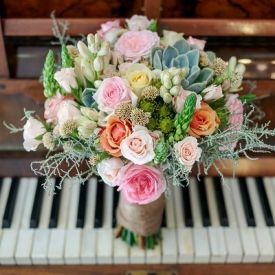 Photo Provided by Jani B.
I hope you enjoyed the beauty and variance that these plants can lend to a wedding as much as I do!